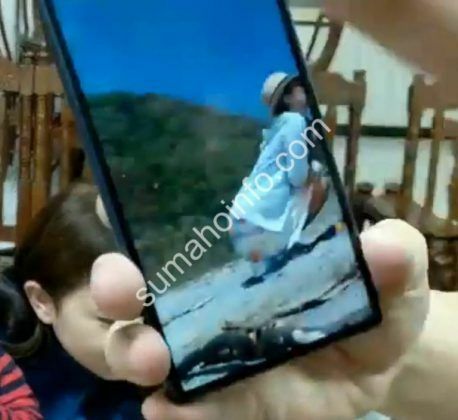 It was only yesterday that an alleged leak of the Sony Xperia XA3’s press renders showed the phone to house a large 21:9 aspect ratio screen. 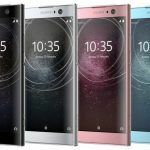 It so happens that Sumahoinfo stumbled upon hands-on images of a phone that very much matches the Xperia XA3’s description, cinema-wide screen and all. 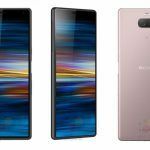 These images seem to confirm quite a few of the design parameters we had originally showcased in an exclusive 360-degree rendering of the phone. 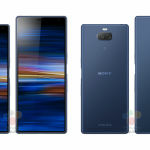 The concept of symmetry seems to be lacking on the Sony Xperia XA3, as there is a sizeable bezel at the top while the bottom edge barely has any barrier separating it from the display. 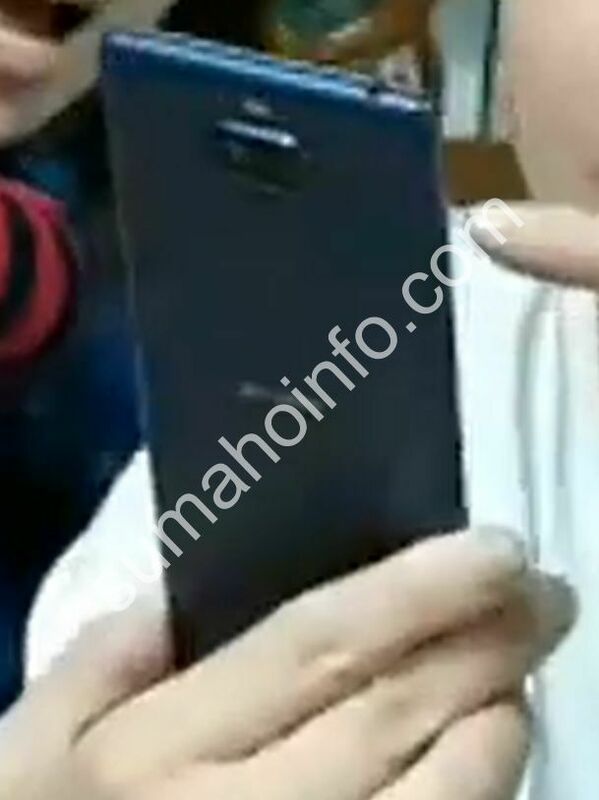 It is unclear why the top bezel needs to be that thick considering it only houses a slim speaker grill and a tiny selfie camera sensor at the very top. 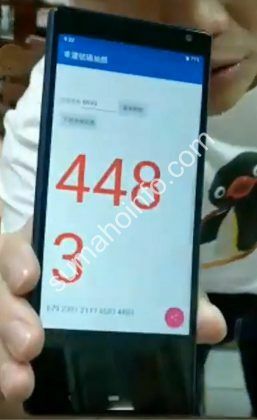 On the other hand, other images that show an app running on the phone confirm one of our concerns with the use of such a tall screen. At least a quarter of the bottom of the display is just black. Until applications are better able to compensate for the added real-estate, users are likely to have an annoying time. On a more positive note, a closer look into this black abyss reveals a navigation pill that is only found on Android 9.0 Pie builds, thus confirming the use of this OS version on the phone. 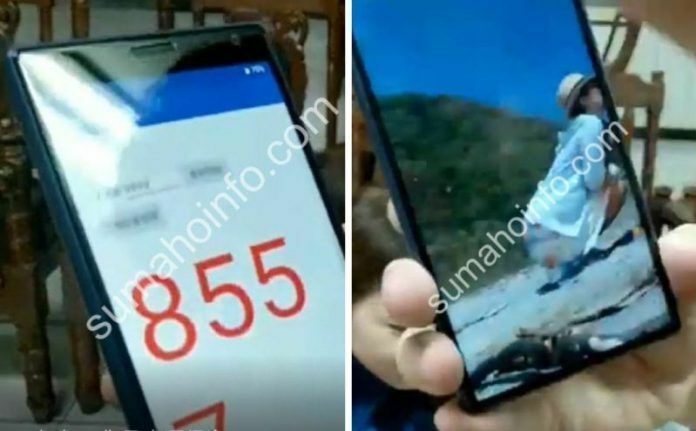 Oher aspects we can make out by looking at these images is the use of a rear dual-camera setup and a side-mounted fingerprint scanner. 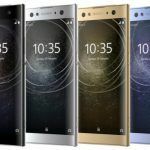 In a separate report, Sumahoinfo claims the Sony Xperia XA3 might make use of a Snapdragon 636 SoC instead of the previously assumed Snapdragon 660 SoC. 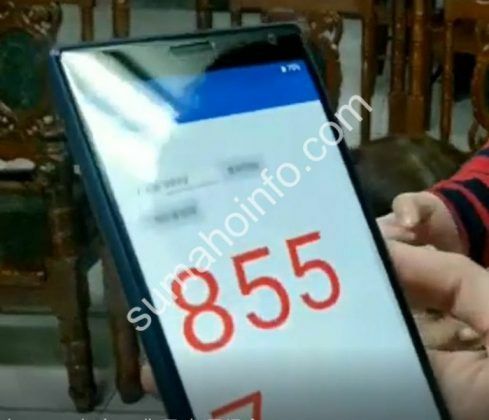 This claim is based on a comment by an infamous leakster that goes by the handle Zackbuks on Weibo. 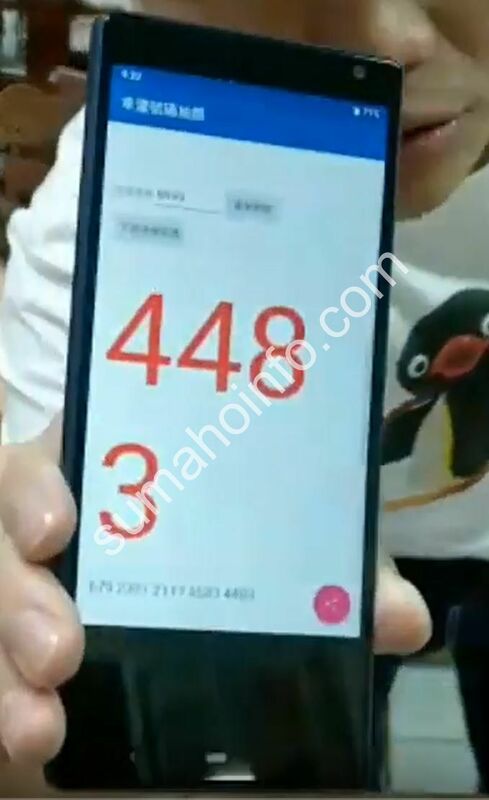 On a video showcasing the specifications of the recently launched Moto G7 Plus, the leakster apparently commented saying that there is another phone that has something in common with the former. Since Zackbuks’ primary focus has been leaking things about the Xperia XA3 for the past few days, Sumahoinfo has somehow established a connection between these two phones. 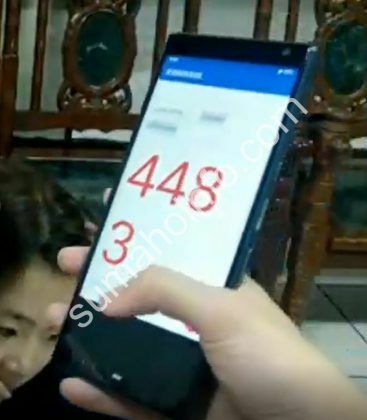 And since we already have a good idea regarding the XA3’s other specifications, they have come to the conclusion that the commonality between the phones is which CPU they use. We would advise you to take this report with a pinch of salt. 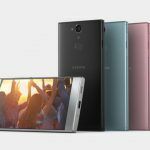 Sony Xperia XA3 With Snapdragon 660 SoC, 4GB RAM Appears on Geekbench: Affordable Smartphone from Sony?